Kudos to Youth Agriculture Project staff and students! 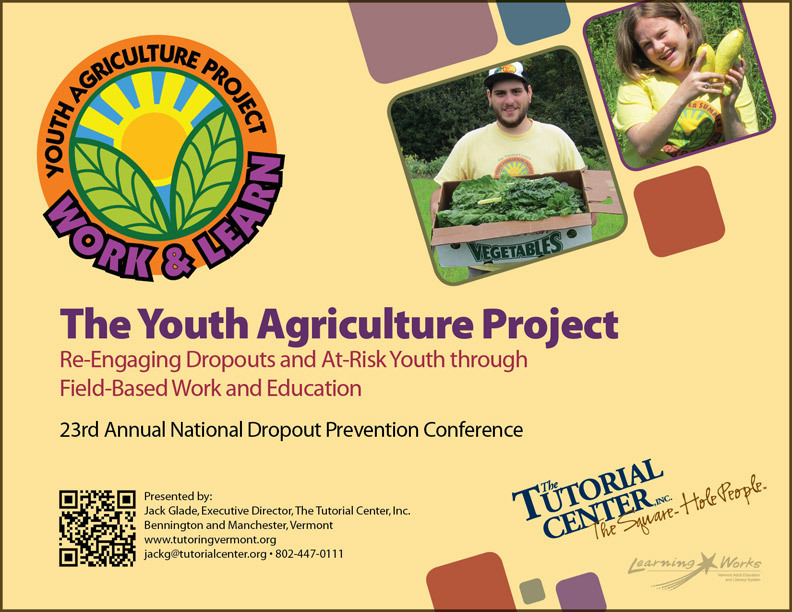 Based on a review of research-proven programs that are successful with at-risk youth, TTC was recently chosen to make a presentation about our Youth Agriculture Project at the National Dropout Prevention Conference in Chicago. Held just this past October 9-12, the conference showcased innovative programs from across the US that are achieving impressive results in preparing at-risk youth for success in school, college and work. “We feel honored that the success of this Project is recognized at the national level,” said Executive Director Jack Glade.